Our 2018 review series continues with statisticians A Lennart Julin and Mirko Jalava looking back at the throws. It was another high standard year for men’s shot put. There was a record number of 21 competitions beyond 22 metres by seven different athletes. The best year before this was 2017 with 18 and before that 1987 with 17 competitions. World champion Tom Walsh continued his reign as the No.1 thrower and won his second successive world indoor title in Birmingham, setting an Oceanian indoor record of 22.31m. 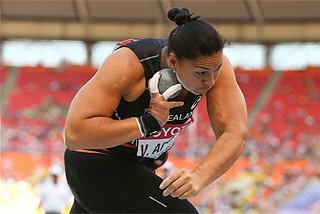 The 26-year-old from New Zealand also had the longest throws outdoors including a world-leading 22.67m Oceanian record in March before winning the Commonwealth title in April. He also won the IAAF Diamond League title and has now thrown beyond 22 metres in 14 meetings. Just two athletes have thrown beyond 22 metres in more competitions: Ulf Timmermann of Germany and Ryan Crouser of the USA. Crouser set a season’s best of 22.53m in Eugene in May and beat Walsh 5-4 in their head-to-head competitions in 2018. Fellow US shot putter Darrell Hill was third on the outdoor world list with 22.40m, while Michał Haratyk extended the Polish outdoor record beyond 22 metres to 22.08m and Brazil’s Darlan Romani joined the exclusive club with a South American record of 22.00m. Indoors Tomáš Staněk reached 22.17m, the best Czech result of all time, and Konrad Bukowiecki became the first Polish athlete to reach 22 metres with 22.00m. With nine throws beyond 68 metres, Fedrick Dacres established himself as the top name in the men’s discus in 2018. The 24-year-old Jamaican threw a 69.67m national record in Stockholm in June and won the IAAF Diamond League title. 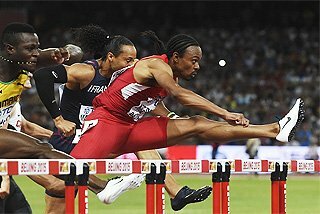 Dacres won six of his nine competitions against world champion Andrius Gudžius, including the IAAF Continental Cup Ostrava 2018. In total, Dacres won 22 of his 27 competitions in 2018. 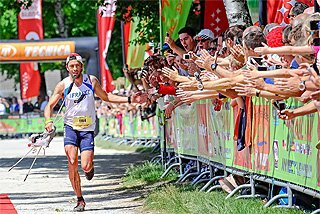 Gudžius had another good season, winning 13 of his 20 competitions, including the European Championships in Berlin. 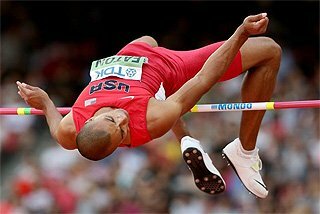 The 27-year-old also set a personal best of 69.59m for the third spot on the world list. Daniel Ståhl ended the year as the world leader for the third successive season, throwing 69.72m to win the Swedish title at the end of August. 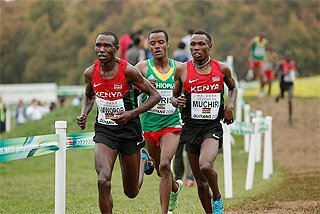 The 26-year-old, however, once again missed out on the top spot of the podium and had to settle for silver at the European Championships. 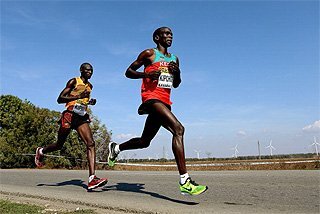 In Berlin he trailed Gudžius by just 23 centimetres, having lost out to the Lithuanian by just two centimetres at last year’s World Championships in London. Two great discus careers ended in 2018. Robert Harting won Olympic gold in 2012, three successive world titles between 2009 and 2013 and back-to-back European titles in 2012 and 2014. After missing the 2015 season, the 33-year-old German returned to action in 2016 but didn’t manage to make any more championship podiums. Harting, who had a lifetime best of 70.66m, finished sixth at the European Championships in Berlin and then returned to the German capital – the scene of his first world title in 2009 – for the ISTAF meeting on 2 September, the final competition of his career. Eleven days later in Tallinn, Gert Kanter contested the final competition of his glittering career. The 39-year-old Estonian was the Olympic champion in 2008 and world champion in 2007. Kanter’s 60.22m effort in his final competition was his 365th meeting beyond 60 metres, a record tally. He threw beyond 60 metres for 18 successive seasons between 2001 and 2018. 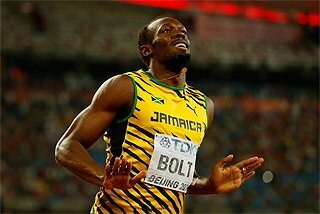 In six of those years, 2005 to 2010, he also threw beyond 70 metres. There was a switch between Polish athletes at the top of the men’s hammer. Paweł Fajdek, having won the past three world titles between 2013 and 2017 and the European title in 2016, could not hold on to his top position during 2018. Instead, it was another 29-year-old from Poland, Wojciech Nowicki, who earned the crown of the best hammer thrower in the world. It wasn’t completely unexpected, though. Nowicki earned Olympic bronze in 2016 and silver at two successive World Championships in 2015 and 2017. He reached 80 metres for the first time in 2017 and raised his level considerably in 2018 with six competitions beyond that mark. He won eight of his 14 meetings during the season and won the IAAF Hammer Throw Challenge, throwing a world-leading 81.85m PB in Székesfehérvár in July. Fajdek threw his season’s best of 81.14m in the same competition in Hungary and took the silver medal in Berlin. Nick Miller was the third athlete to throw beyond 80 metres in 2018. The Briton hurled a national record of 80.26m to win the Commonwealth title in Gold Coast in April. Germany’s javelin reign continued in 2018. All nine competitions at 90 metres or better, most of which came early in the season, were achieved by German athletes. World champion Johannes Vetter was fastest out of the blocks winning the European Cup Winter Throws in Leiria with a world-leading 92.70m. But the 25-year-old’s last win of the season came in May and he struggled for form during the rest of the year. Vetter’s troubles cleared the way for the other two preeminent Germans, Andreas Hofmann and Thomas Röhler. Hofmann hadn’t won a major senior medal before 2018, but three competitions beyond 90 metres, including a 92.06m PB in Offenburg in June, made him serious a contender for the European title. Ultimately, though, he had to settle for silver with 87.60m as Olympic champion Röhler took gold with 89.47m. Röhler had the edge over Hoffman in head-to-head competitions in 2018 at 6-5, but Hofmann won the IAAF Diamond League title in Zürich with 91.44m. Estonia’s Magnus Kirt was the surprise performer in this event in 2018. Starting the season with an 86.65m personal best from 2015, the 28-year-old improved his PB – and the national record – three times. He threw 88.45m in Tartu, then won at the IAAF World Challenge meeting in Turku with 88.73m to beat the leading Germans, and improved to 89.75m to win at the IAAF Diamond League meeting in Rabat, again beating Hofmann and Röhler. Kirt crowned his season by taking bronze at the European Championships in Berlin. World champion Gong Lijiao of China established herself as the world No.1 in the women’s shot put in 2017 while Valerie Adams and Christina Schwanitz were on maternity leave. Four-time world champion Adams and 2015 world champion Schwanitz returned to action in 2018, but Gong’s dominance continued. The 29-year-old won all of her outdoor competitions this year and threw beyond 19 metres in all but one of them. 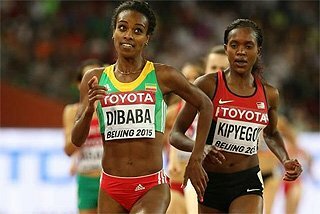 She also won at the IAAF Diamond League title and the IAAF Continental Cup Ostrava 2018. Of the two returnees, Schwanitz came closest to reproducing her old form, setting a season’s best of 20.06m and winning at two IAAF Diamond League meetings in Gong’s absence. However, the German was surprisingly beaten at the European Championships when Poland’s Paulina Guba went into the lead on her final throw to win by 14 centimetres with 19.33m. Guba had already improved steadily throughout the season. Starting the year with an outdoor best of 18.24m, the 27-year-old consistently threw beyond that in 2018 and bettered 19 metres in three competitions. Jamaica’s Danniel Thomas-Dodd made a similar breakthrough last year and built on that at the start of 2018 by taking world indoor silver with 19.12m and Commonwealth gold with 19.36m. After that, however, she struggled for form and most of her marks were between 17 and 18 metres. Championship performer Anita Márton of Hungary took the world indoor title with 19.62m but ended her 2018 campaign in June due to injury. After taking some time away from the sport, USA’s Raven Saunders also returned to action. 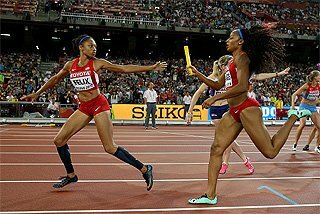 Saunders, who finished fifth at the 2016 Olympics at age 20, immediately re-established herself among the world’s best, finishing second to Gong at both the IAAF Diamond League final and the Continental Cup. Sandra Perkovic has been beaten on just eight occasions between 2012 and 2018, averaging approximately one loss per season for seven consecutive years. The Croatian registered two losses in 2018, which unfortunately happened to be in two of the biggest competitions of the year. She finished third at the IAAF Diamond League final in Brussels behind Yaimé Pérez and Andressa De Morais, then eight days later she finished second at the IAAF Continental Cup. Her best mark that day, 68.44m, was the top throw of the competition, but the unique rules stated that the finishing order was decided by each athlete’s final throw, meaning Perez came out on top. It was business as usual in all other meetings, though, and Perkovic averaged a distance of 69.04m and a winning margin of 2.88m with her four IAAF Diamond League victories (Doha, Rome, Paris and London). She threw a world-leading 71.38m in Doha and won the European title by 4.62m. Overall, Pérez was a clear No.2. 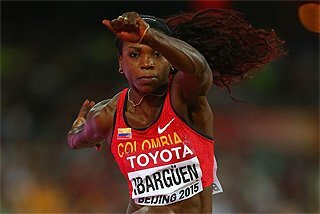 She finished no lower than second and won 11 of her competitions in 2018, including the IAAF Diamond League final, the Central American and Caribbean Games and the NACAC Championships. Dani Stevens, Perkovic’s main challenger last year, won the Commonwealth title with 68.26m in April but was forced to miss most of the rest of the season due to a wrist injury. She returned to action at the Continental Cup and threw almost 63 metres. Behind Perkovic and Perez, 2015 world champion Denia Caballeo and Brazil’s Andressa De Morais were the most consistent discus performers in the IAAF Diamond League. 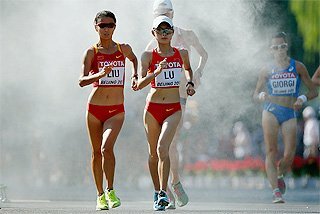 Germany, with four women in the top 15, and China, with three in the top 11, once again showed great depth but neither nation ever featured prominently in this year’s IAAF Diamond League. After years of dominance and a 42-meeting winning streak stretching back to July 2014, Anita Wlodarczyk showed vulnerability at the start of 2018 with losses in her first two competitions. Even when she returned to winning ways in June, the Pole had to work hard for her victories. She was also beaten decisively by USA’s Deanna Price at the Continental Cup. Overall, though, Wlodarczyk ended the year as the world leader with 79.59m, the European champion, and winner of the Hammer Throw Challenge. Price and US compatriot Gwen Berry were the biggest surprise performers in the event this year. They moved to fourth and fifth on the world all-time list with 78.12m and 77.78m respectively. Both women also proved themselves competitively with Price dominating the Continental Cup and Berry setting her PB when winning the Hammer Throw Challenge meeting in Chorzow ahead of Wlodarczyk. With Maggie Ewen and Brooke Andersen also throwing beyond 74 metres in 2018, the USA ends the year with four women in the top nine on the world list, statistically making them the leading nation in the women’s hammer ahead of Poland, China and Germany. Wlodarczyk’s main European challenger this year was France’s Alexandra Tavernier. The 2012 world U20 champion and 2015 world bronze medallist added to her medal tally by taking silver at the European Championships with a national record of 74.78m. While the other three women’s throwing events were clear-cut at the top in 2018, the javelin was quite the opposite. The 15 podium places at stake across the five IAAF Diamond League meetings in the event were spread between nine throwers. In comparison, the 15 podium places on offer in the discus were shared by just four women. 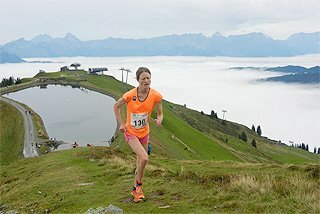 The group of nine javelin throwers who achieved a top-three finish at IAAF Diamond League meetings didn’t include the top two from last year as Sara Kolak underwent elbow surgery and Barbora Spotakova gave birth to her second child, nor did it include the top two on the 2018 world list, Kathryn Mitchell and Christin Hussong. At age 35, Mitchell produced her best ever form during the Australian summer, culminating in a world-leading Oceanian record of 68.92m to win the Commonwealth title on home soil and moving her to seventh on the world all-time lsit. After that once-in-a-lifetime experience, she opted to miss the northern hemisphere season. Hussong’s best finish at an IAAF Diamond League meeting this year was seventh, but she – just like Mitchell – timed her peak to perfection to win a major title on home soil. After a 67.29m PB in qualification, she improved to 67.90m in the European Championships final to win by more than six metres.